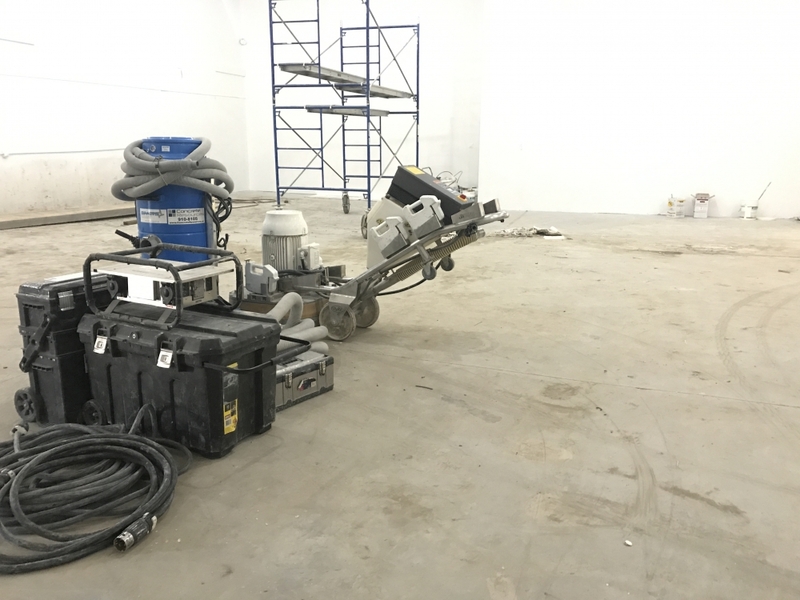 Our client had moved into a new warehouse and found the floor to be rough, constantly dirty and hard to clean. Because the area is used for packaging products it needed to be smooth easy to clean, durable and able to handle forklift traffic. We first ground the surface and removed high areas, then leveled low areas with Ardex self leveling concrete. 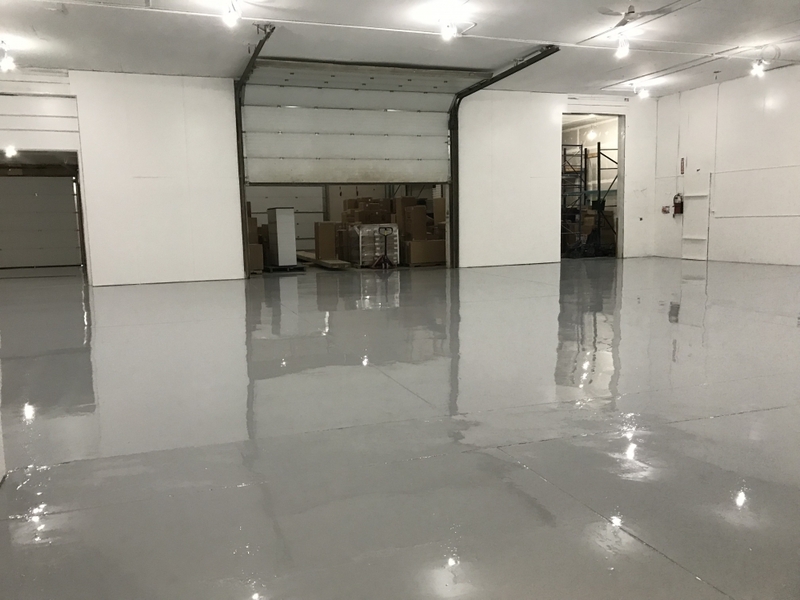 A deep penetrating epoxy primer was installed before a high build coating of 100% solids epoxy. 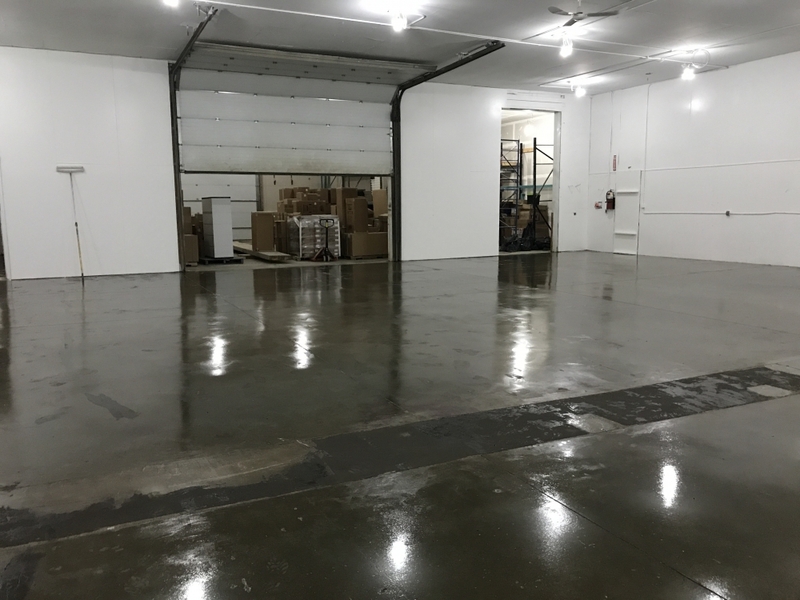 The final result is a bright durable low maintenance floor that met our clients needs and expectations.